Wound management and reconstructive surgery are among the most challenging and innovative subspecialties of veterinary surgery for the management of traumatic injuries and neoplastic conditions commonly encountered in small animals. 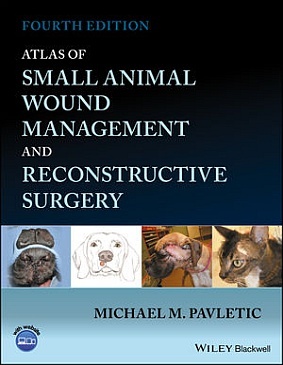 Atlas of Small Animal Wound Management and Reconstructive Surgery, Fourth Edition presents detailed procedures for surgical reconstruction and essential information on the principles of wound healing and wound management for dogs and cats. Coverage encompasses the pathophysiology and management of the wide variety of wounds encountered in small animal practice and the most current reconstructive techniques for closing the most challenging defects.